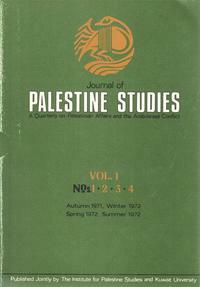 Primer on Palestine, Israel and the Arab-Israeli Conflict. Palestine Studies Fellow Lisa Hajjar and Stanford University Professor Joel Beinin co-authored the Middle East Research and Information Project's “Primer on Palestine, Israel and the Arab-Israeli Conflict.” This comprehensive and concise survey is an excellent reference source on the history of the conflict and many of its most pertinent issues, including refugees, Jerusalem, and the Palestinian initiative at the UN. Read more about Primer on Palestine, Israel and the Arab-Israeli Conflict. Fellow Mouin Rabbani spoke to France 24 on Gaza's isolation and Palestinian fragmentation on the anniversary of Israeli withdrawal from the besieged territory. Institute Fellow and Journal of Palestine Studies editor Rashid Khalidi on changing public opinion on Israel and Palestine and the responsibilities of Arab- and Muslim-Americans. A comprehensive background on the history of U.S.-Iranian relations, the course of U.S.-Israeli efforts against Iran’s nuclear program, and Iran’s involvement in the Arab-Israeli conflict. Remembering Mahmoud Darwish: "Exile Is So Strong Within Me, I May Bring It To the Land"
Mahmoud Darwish—“national poet of Palestine,” “voice of the Palestinian people,” cultural icon for millions of Arabs—died seven years ago this summer, on 9 August 2008, at the age of 67 following heart surgery. 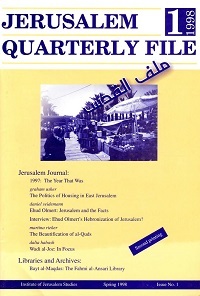 Read more about Remembering Mahmoud Darwish: "Exile Is So Strong Within Me, I May Bring It To the Land"